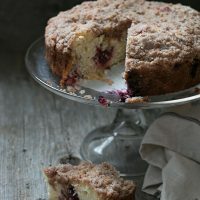 This Very Berry Raspberry Blackberry Crumb Cake is a lovely light and moist cake, studded with berries and topped with a sweet cinnamon sugar crumb topping. This crumb cake recipe has been a favourite of mine, ever since I spotted it on Smitten Kitchen a few years ago. Adapted from a Maida Heatter recipe, this texture of this cake is just perfect. As is the crumb topping. It is exactly what I imagine when I think of crumb cake – light and tender, moist and a little bit crumbly, but sturdy enough to make a nice slice. This time, I made a very berry version, with raspberries and blackberries. I love the way they burst with flavour in the cake. You could add blueberries. In fact, you could make it with just blueberries. Or just blackberries. You get the idea – use whatever fruit you like. You’ll need about a pint. I added some chopped pecans to my cake, just because I had some that I wanted to use up. Walnuts are always good or you can skip the nuts altogether and still have a wonderful cake. I made this cake by using the gram measurements and weighing out the dry ingredients and if you have a kitchen scale, that’s the way to go. 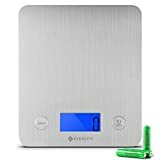 Honestly, I have to say, I love my kitchen scale. It is one of the most-used and valuable tools in my kitchen. I love that it takes the guesswork out of measuring when I’m baking, as precise measuring is so important, especially for recipes that are flour-heavy. It’s just so easy to over or under measure flour when using cups to measure and a little too much or a little too little can really change the finished cake. 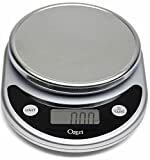 If you don’t have a kitchen scale yet, I would really, really recommend that you consider adding one to your kitchen. They are so economical (you can get a great one for around $10!) and they are just so useful. 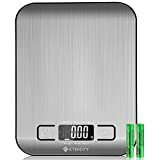 Not only do they take the guesswork out of measuring, they open up a whole world of recipes to you (those ones that you’ve seen that are only in metric and you couldn’t make because you didn’t have a scale). Another place I use my scale all the time is for measuring butter. If you’ve ever had a chunk of butter and you needed 3 Tbsp., all you need to do is weigh it. A tablespoon of butter weighs 1/2 oz., so rather than cut and guess, just weigh out 1 1/2 oz. for your 3 Tbsp. Here’s a sample of some of the scales that are out there for a great price. 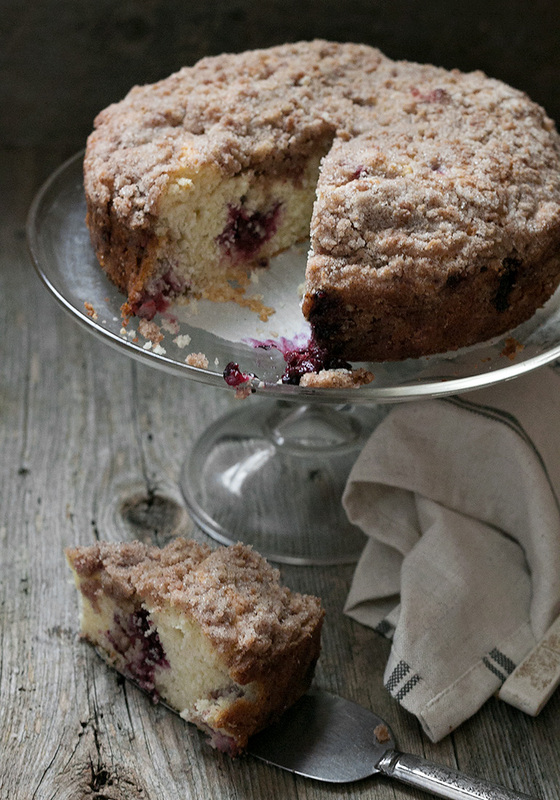 A delicious light, tender and moist coffee cake, studded with fruit and topped with a sweet crumb topping. Preheat oven to 375° F. Grease an 8-inch springform pan and line the bottom with a round of parchment paper. Prepare the topping: Whisk together the flour, sugar, cinnamon and salt. Cu in the butter in with a pastry blender, fork or your fingertips until the mixture resembles coarse crumbs. Set aside. For the cake: In a medium bowl, whisk together the flour, baking powder and salt until combined. Set aside. In a large bowl or the bowl of a stand mixer, beat the butter, sugar and lemon zest together until light and fluffy, about 2-3 minutes. Add the egg and vanilla and beat until combined. Beat in 1/3 of the dry ingredients just until combined. Add 1/2 of the milk. Add another 1/3 of the dry ingredients, followed by the remainder of the milk. Add the remaining dry ingredients and mix until combined. Using a spatula, carefully fold the berries in to the batter. Spoon batter into prepared pan and smooth a bit so that it is relatively flat. If using nuts, scatter them on top, then sprinkle the prepared topping evenly over-top. Bake in heated oven for about 40 minutes, or until a toothpick inserted into the middle of the cake comes out clean. Remove from oven and allow to cool in the pan on a cooling rack for at least 15-20 minutes. Run a knife around the inside edge, then carefully loosen and remove the outer ring. You can transfer the cake to a serving plate by loosening the parchment from the metal bottom and sliding on to a serving plate. I would like to bake a slightly bigger cake, so planning to use a 9″ springform pan and adjust the temperature of the oven. I made this for my bunco group the other night and the ladies loved it! Thank you for another wonderful recipe! I chopped up some strawberries for mine. This cake looks absolutely scrumptious! Perfect with afternoon coffee. I just love crumb cakes! 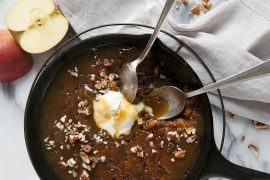 Such a beautiful recipe here! 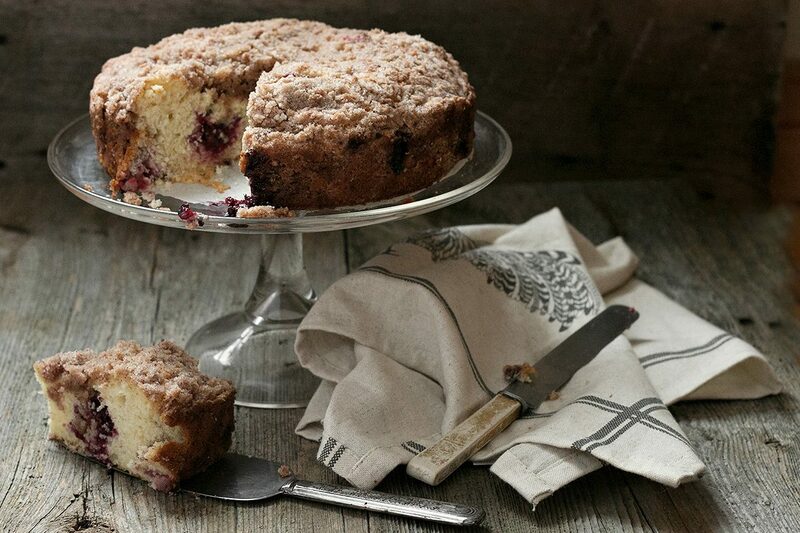 Oh goodness, I have a huge weakness for crumb cakes, and this one looks BERRY delicious! (<– Sorry I had to!) I love that you used a mix of berries in here Jennifer! The cake looks so light and delicious, while the crumb looks just heavenly! 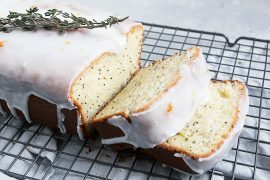 I wish I had a few slices of this to go with my coffee this morning! Cheers, friend! Lol! It is berry delicious, Cheyanne :) Thanks so much! As always, Jennifer, I am sitting here wide-eyed admiring your beautiful photos! It’s so nice to have a few free minutes to catch up on my visiting and I could hardly wait to get here and see what you’ve been up to. Thanks Laura and yes, I love picking the crumb off too :) Can’t wait to see your cake! Crumb cake is the way to my heart Jennifer! I bet this one is delicious with the added berries! All Jersey girls LOVE their crumb cake! 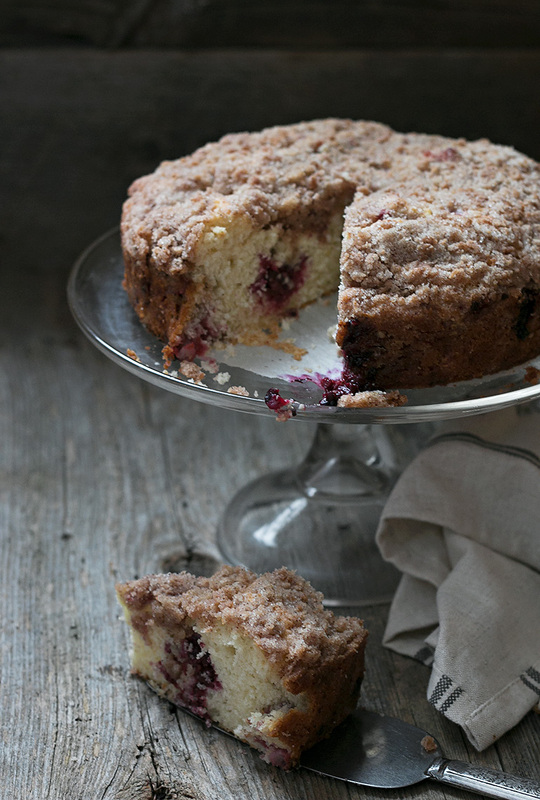 Wish I had this in front of me right now…I’ve got a lemon crumb cake in the works inspired by Tricia’s latest! 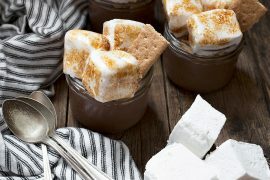 Wouldn’t it be nice if we all lived near each other and could share :) Speaking of sharing, I’m off to pin and post on fb, love this! Thanks Sue and can’t wait to see your lemon cake, too! I know I’m going to love this recipe. It’s beautiful and loaded with juicy berries. It just doesn’t get any better than this! Hope you have a wonderful weekend. Pinning and sharing! Thanks so much, Tricia :) I was feeling the need for some berry baking and this really hit the spot!